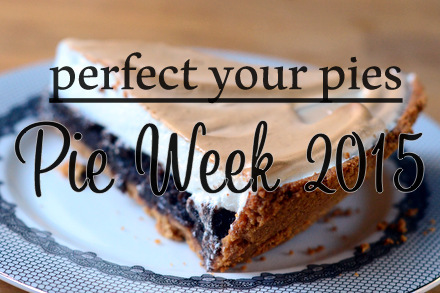 Graham cracker crusts are fantastic with many different pie fillings, from pumpkin to chocolate cream. They’re easy to make and there are even no-bake versionsÂ that you can use with no-bake fillings. The problem with graham cracker crusts is that they can get boring after a while because they all taste the same. Fortunately, it is easy to make a few small changes and completely turn your crust from a good one into an addictive one. 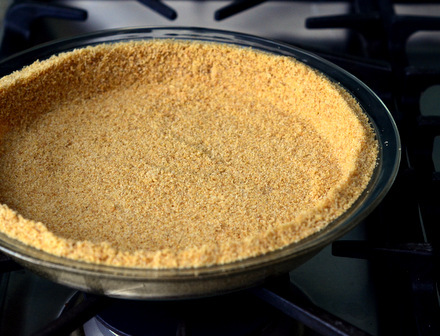 Add some spice: The easiest way to add flavor to a graham cracker crust is to open your spice cabinet. Cinnamon is a natural fit for graham crackers – after all, many of them already include cinnamon – but ginger, cloves and nutmeg can all add complexity to a crust. Don’t be limited to “dessert” spices. For instance, you can add cayenne pepper to a crust to add some contrasting spice to a rich pie filling. Depending on how much spice you want, you can use anywhere from 1/4 – 1 teaspoon with your crust recipe. Add some zest: If your filling has a citrus element to it, add some citrus zest to the crust. Lemon, lime and orange zest will liven up the crust and tie it in to the filling nicely. This easy addition can take your key lime pie to the next level. An orange zest crust can also be paired with chocolate fillings, while lemon works well with a wide variety of fruity flavors. I’ll usually zest a whole fruit, which amounts to 2-3 teaspoons of zest. Add vanilla: Vanilla can add a hint of vanilla to a crust, but use a whole vanilla bean if you really want that vanilla flavor to stand out. Split the vanilla bean down the center and scrape out the seeds, adding them to the rest of the crust mixture. You’ll taste a noticeable difference as you get creamy, floral vanilla notes in each bite. This variation works particularly well with custard pies and cream pies that have a vanilla base. Add chocolate: A few teaspoons of cocoa powder are all you need to turn a classic graham cracker crust into a chocolate variation. Cocoa power’s intense, bittersweet flavor brings a lot of chocolate to each bit of crust without changing the consistency. You could use chocolate graham crackers instead, of course, but they are more expensive and harder to find in most stores than the classic grahams. Add browned butter: Graham cracker crumbs are typically bound together with butter and sugar to form a crust and that butter is usually melted. Take a minute to brown your butter in a small sauce pan before adding it to the crust mixture. The butter will take on a golden color and will develop a nutty flavor that will make your crust even more delicious. Add nuts: While browned butter will give a nutty flavor to your graham crackers, you can add ground nuts in with your graham crackers to make your crust even nuttier. Simply substitute 1/4 or 1/2 cup of crumbs with the ground, toasted nuts of your choice and proceed to bake the crust as directed. The nuts will add a little more texture to the finished crust, even though the are finely ground and blend nicely with the grahams. You can use just about any nut, from macadamia nuts to walnuts.